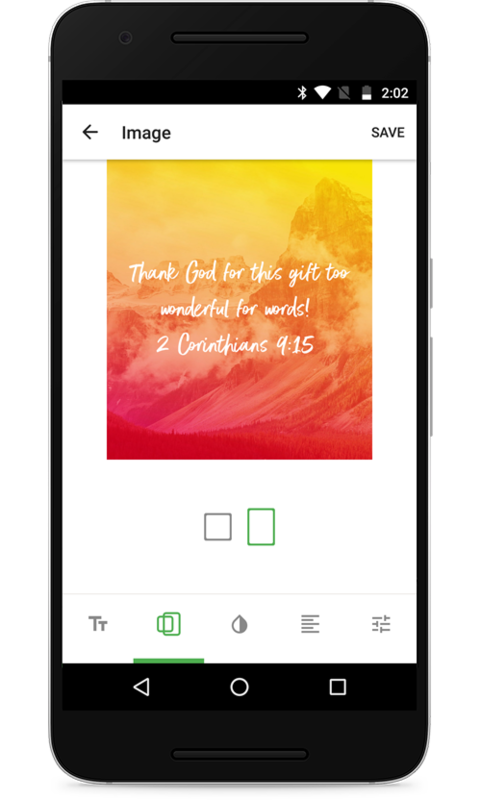 Verse Images let you capture your moments of inspiration as beautiful Bible art: to save, to remember, to reflect, and to share… all from inside the Bible App. 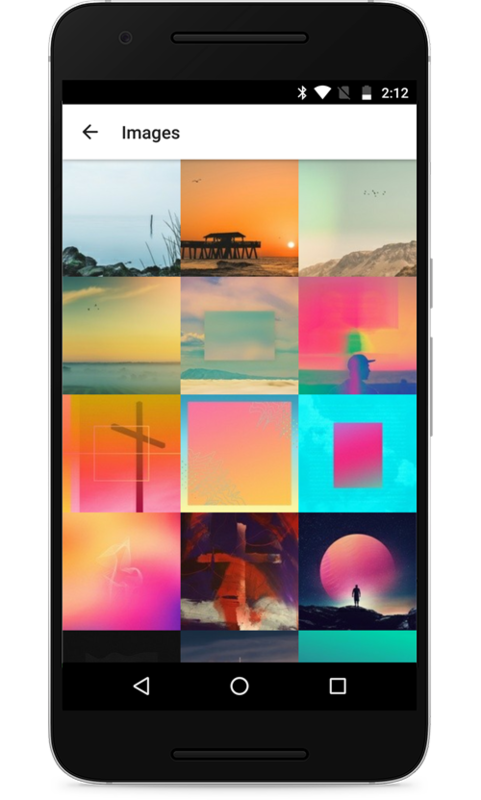 And today, Verse Images are better than ever, with new background images, new fonts, new aspect ratios, and more! If you’ve never made a Verse Image before, don’t worry — it’s easy! Simply tap the Read tab to start reading (or listening). When God’s Word moves you, tap the verse, then Image, then have some fun! Use a picture from your camera roll. Or try one of our stunning new high-res images. Explore all the new fonts, and experiment with new line height and letter spacing. Tap black or white, or make your own custom color. Set it left, right, or center. You can even shape your text box to fit your background. Make your verse easier to read by adjusting blur and brightness. To help you remember that moment, to reflect on God’s Word, and to share! Bible Lens  Now for Android! 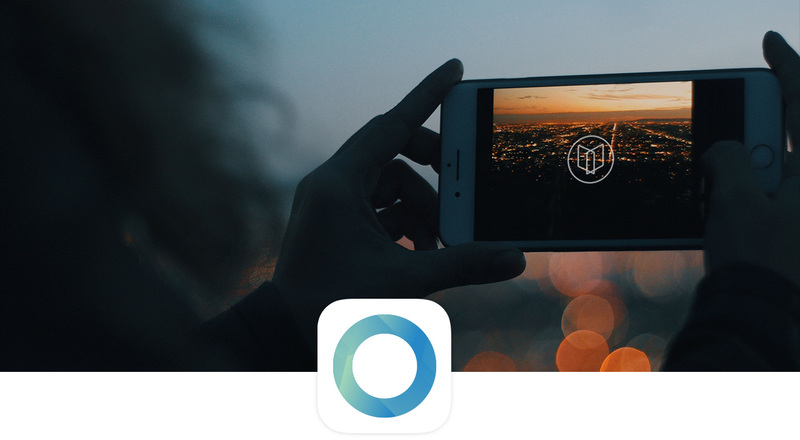 We’re excited to announce the launch of Bible Lens for our Android community! 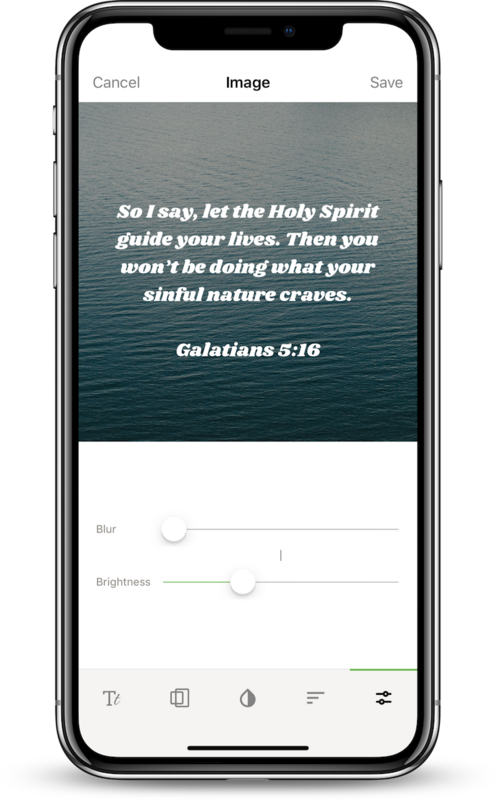 Bible Lens, the newest app from YouVersion, reveals moments from your everyday life through the lens of God’s Word. 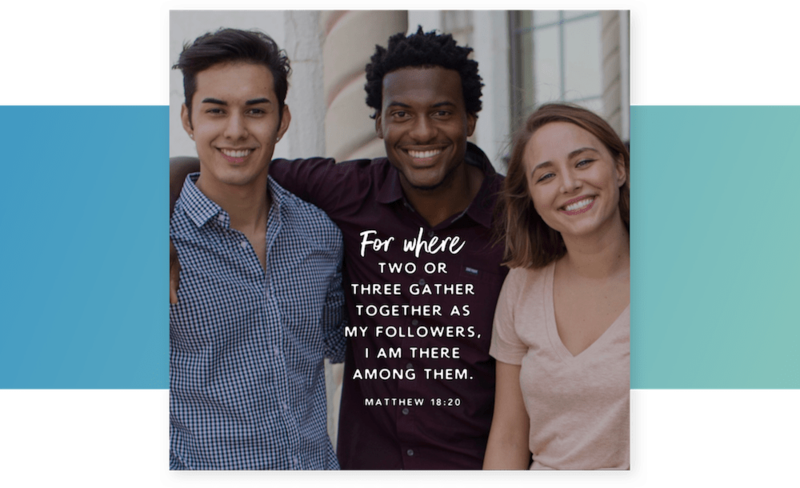 Take a picture with Bible Lens or point it at your camera roll, and it auto-magically finds a matching Bible verse, then overlays it as amazing Bible art that you can save and share. 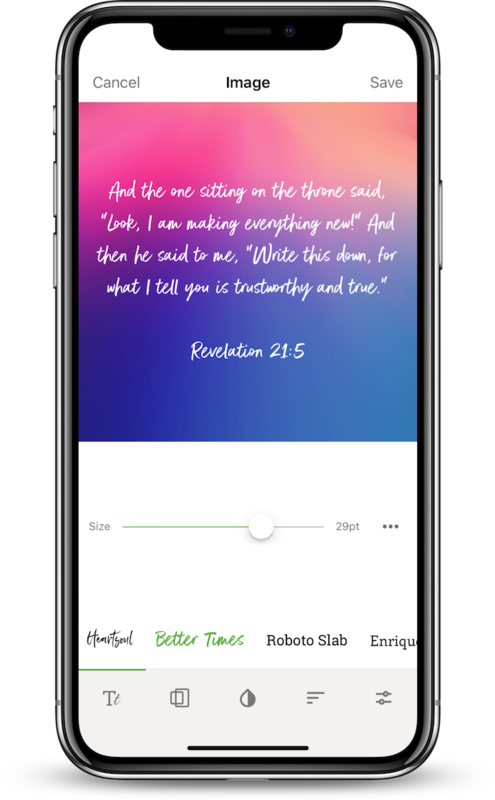 Bible Lens is the next all-new app from your friends at YouVersion, makers of the Bible App and Bible App for Kids. 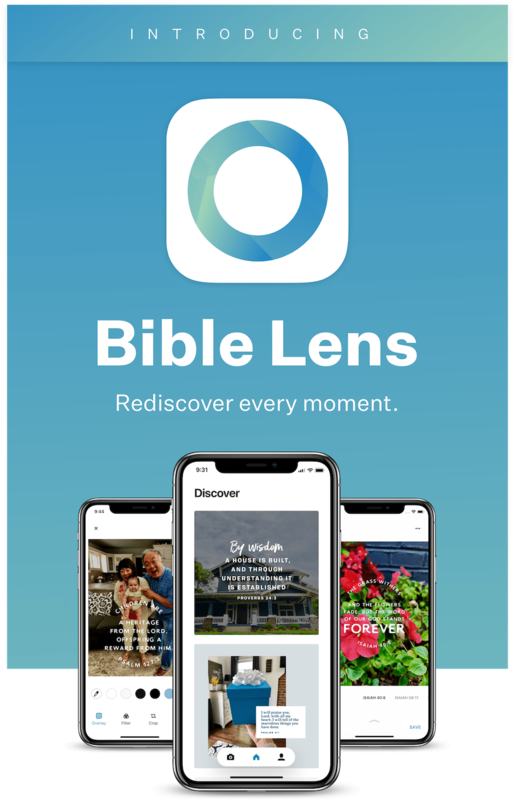 Bible Lens lets you take a picture, or point to one you already have. 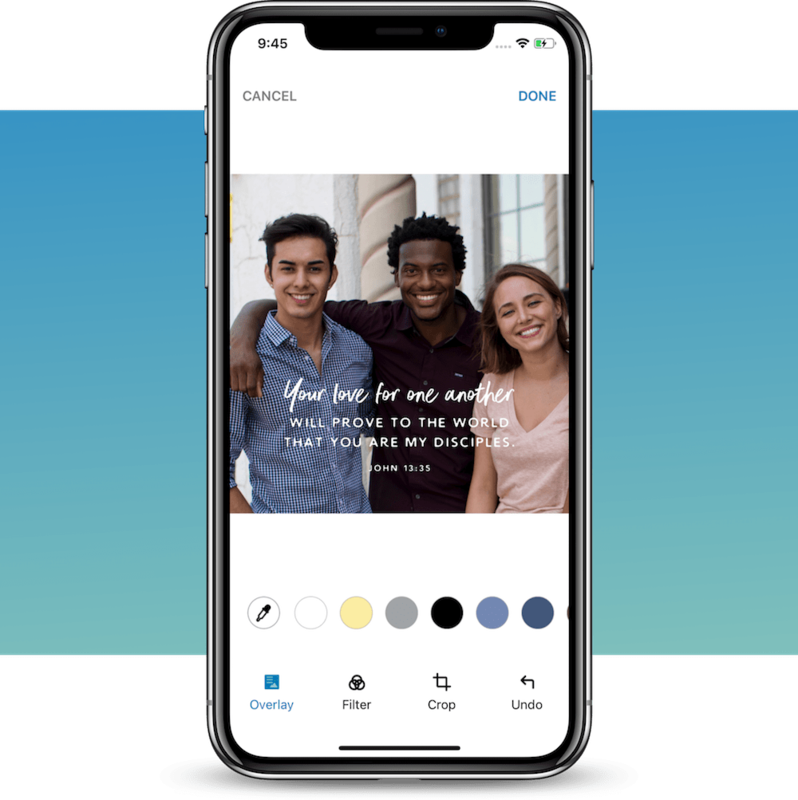 It detects not only objects in your photo, but more importantly, the Biblical themes of the moment that photo captured… and then suggests Bible verses to match! when Bible Lens launches on Android. 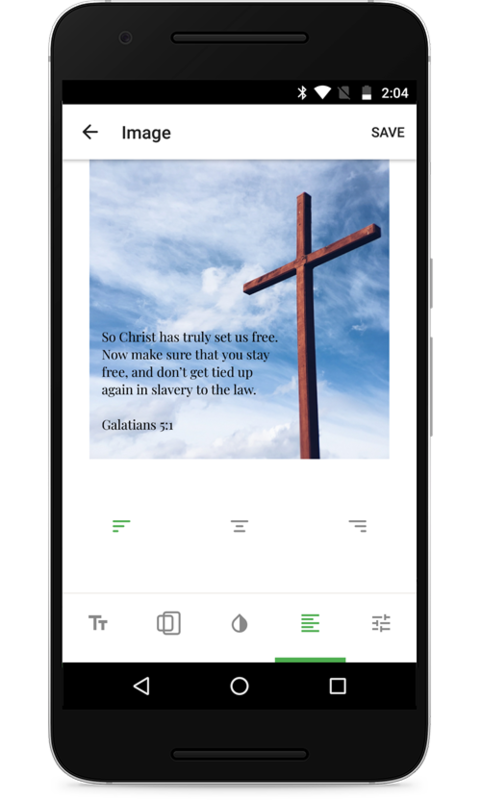 Bible Lens overlays its first suggestion in a stylized font and color, shaping the text around important focal points (such as faces or objects). 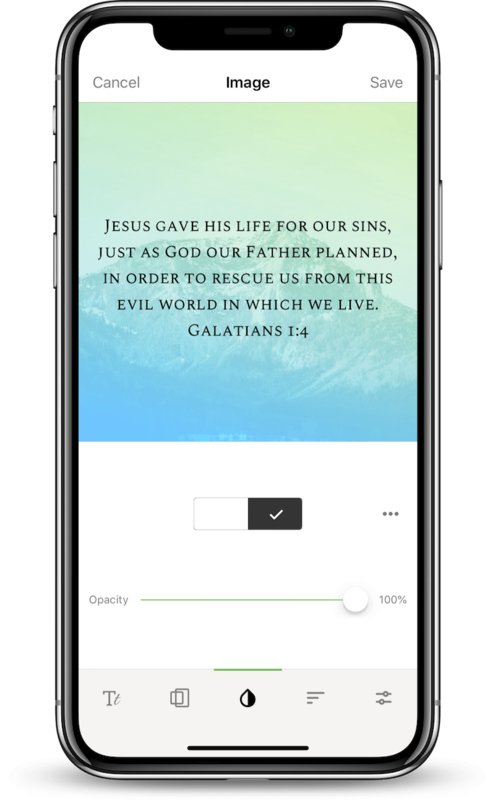 You can experiment with different combinations of Bible verses and styles, adjust and fine-tune each version, and save your favorites as you go. When you’re finished, your completed moment is easy to share. 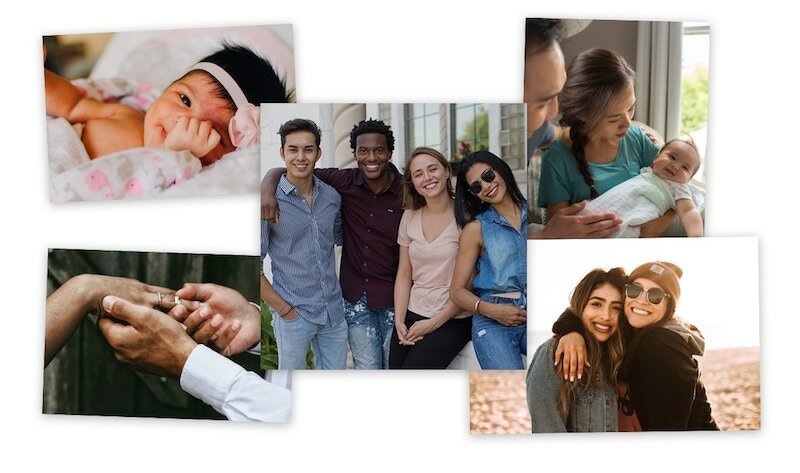 Bible Lens transforms your everyday photos into profound, Biblically-based artistic shareable images. Breathe new life into your old favorites. 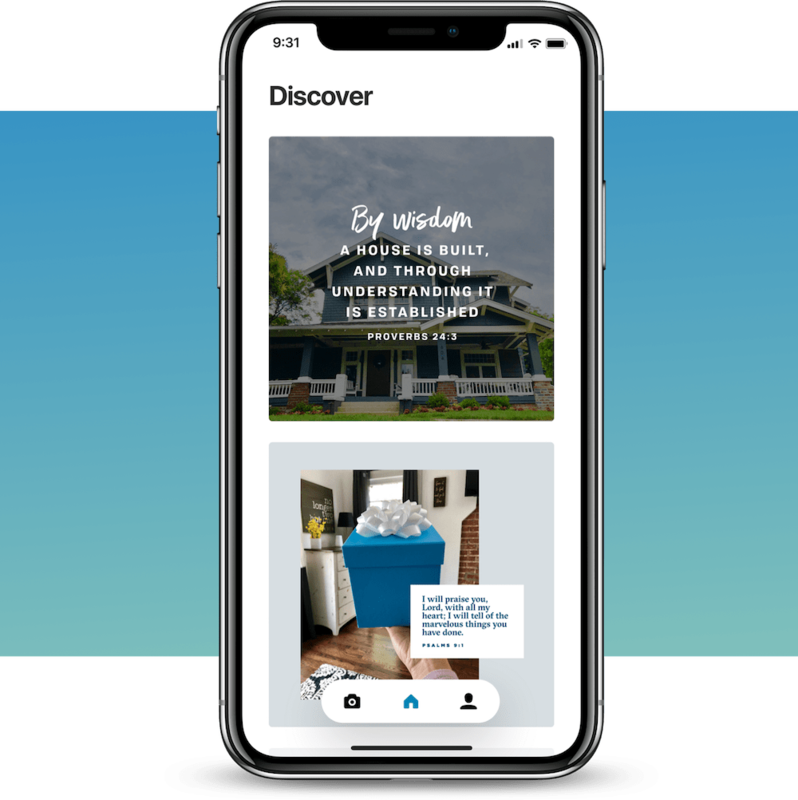 Bible Lens’ Discover feature finds the pictures in your camera roll with the greatest potential to become dazzling Verse Images. Then, Discover amazes you with special moments from your past… now revealed through the lens of God’s Word. Turn Streaks into Perfect Weeks. Streaks motivate and encourage you to feed yourself every day. It feels great seeing that number climb, doesn’t it? It just grows and grows, each day you open the Bible App to seek God in His Word. But sometimes we miss a day, and then, disaster! But that’s okay. Update your app, and every time you complete a Streak of seven days from Sunday to Saturday, your Perfect Weeks number will increase by one… and then never go down. Now, even when the inevitable hiccup breaks your current Streak, you won’t lose your record of everything you’ve accomplished so far. 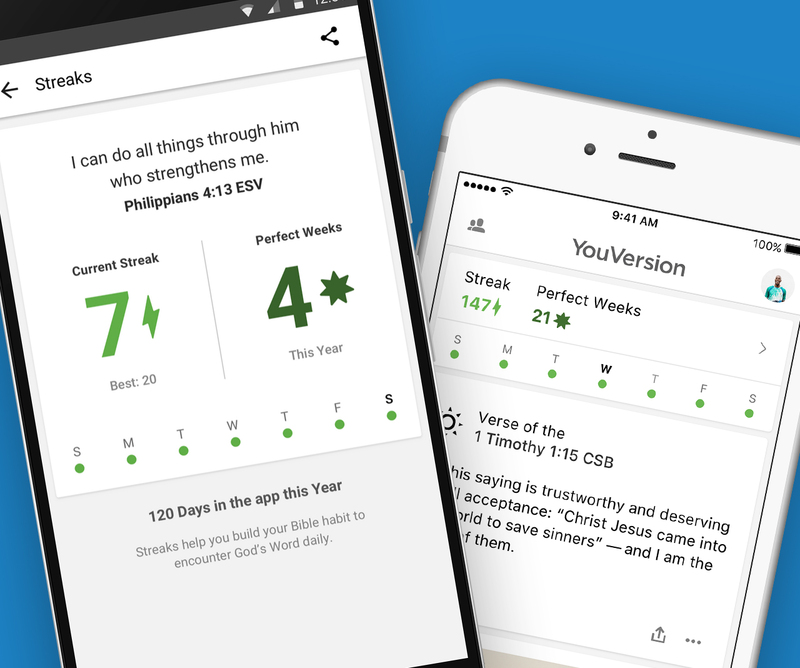 We want to help you build your daily Bible practice, by stringing together longer and longer Streaks. Perfect Weeks let you do that, one week at a time. So update your app now, and start collecting — and keeping — all your Perfect Weeks.